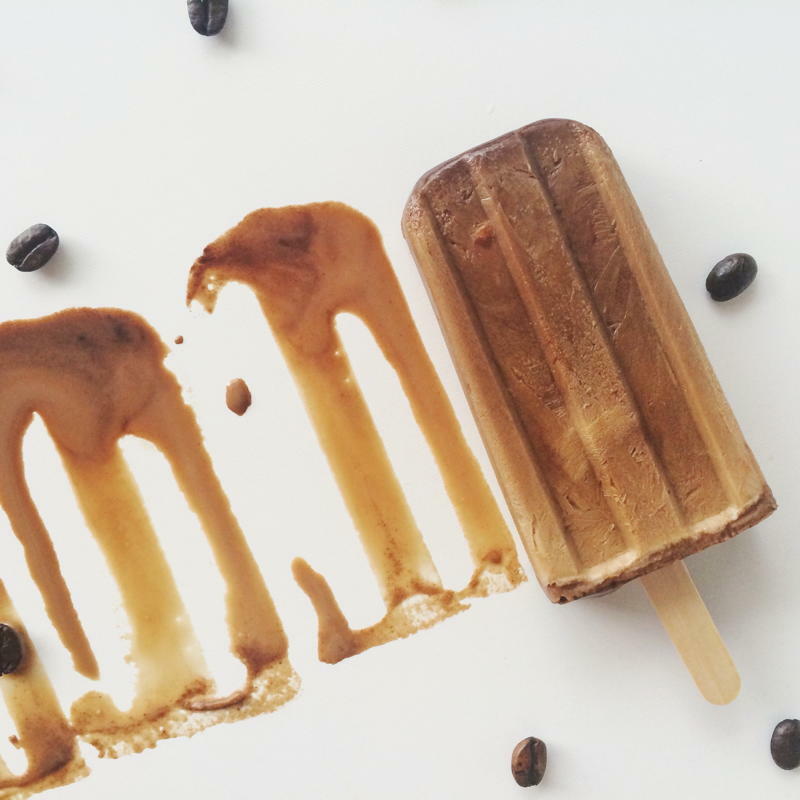 these hot summer days call for some really delicious measures to cool down. don’t you think? and if that delicious measure can stand in for you morning coffee? well that certainly *sweetens* the deal! 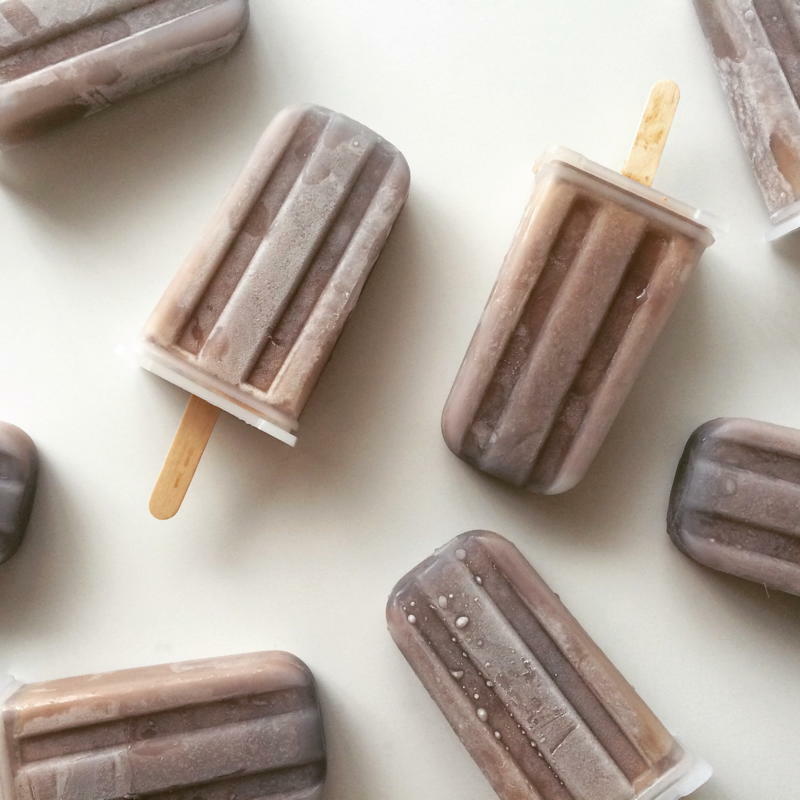 plus, what adult doesn’t want an excuse to eat a popsicle before 10 in the morning? that’s the key to this whole adulthood thing, right? eating popsicles in your pajamas? I think so. a mexcan mocha is a mocha that has been elevated with some cinnamon and a little cayenne for that gentle kick that wakes up your senses. even the non coffee loving taste testers of my house were sold on their worthiness of freezer real estate. 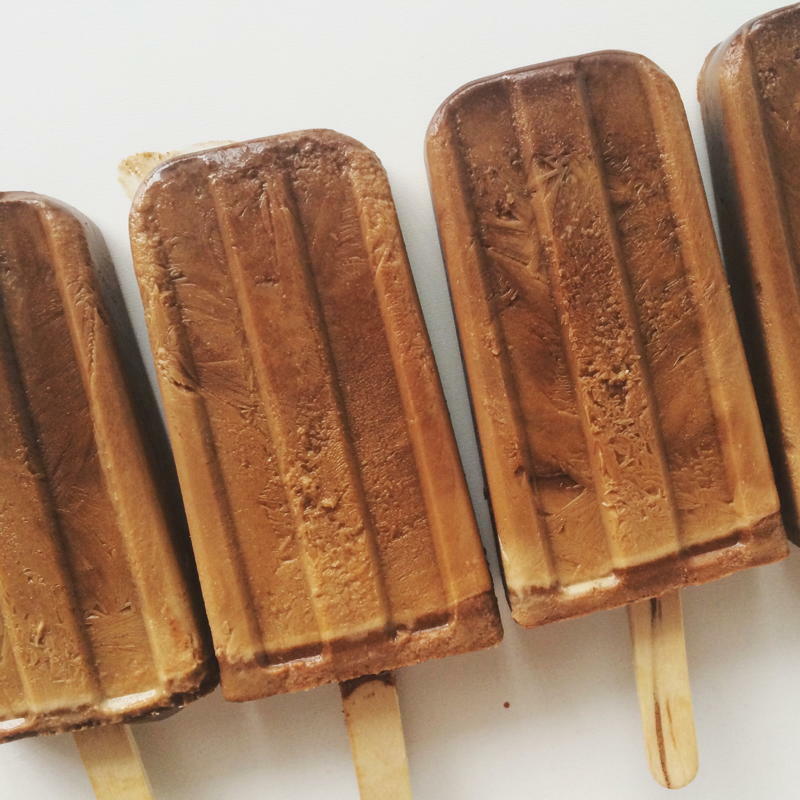 these luscious pops are based off of a recipe I found on food & wine – right here. I followed their recipe pretty closely the first time I made them. the allure of whipped cream folded into the chocolate coffee mixture for that ice cream like texture totally got me. but my dreams were dashed when everything very much separated during the freezing process. so disappointing. so for my next batch I simply mixed the cream in without first making whipped cream and they turned out great. my version uses the real deal, full fat whipping cream (I am not afraid of that stuff – probably the exact opposite of afraid really, especially when it’s organic and from cows that are pastured!). but for a vegan version I think it would work so well to sub in some coconut milk/cream. plus you would get that extra yummy coconut flavor layer which would be pretty awesome. it’s all about the flavor layers. 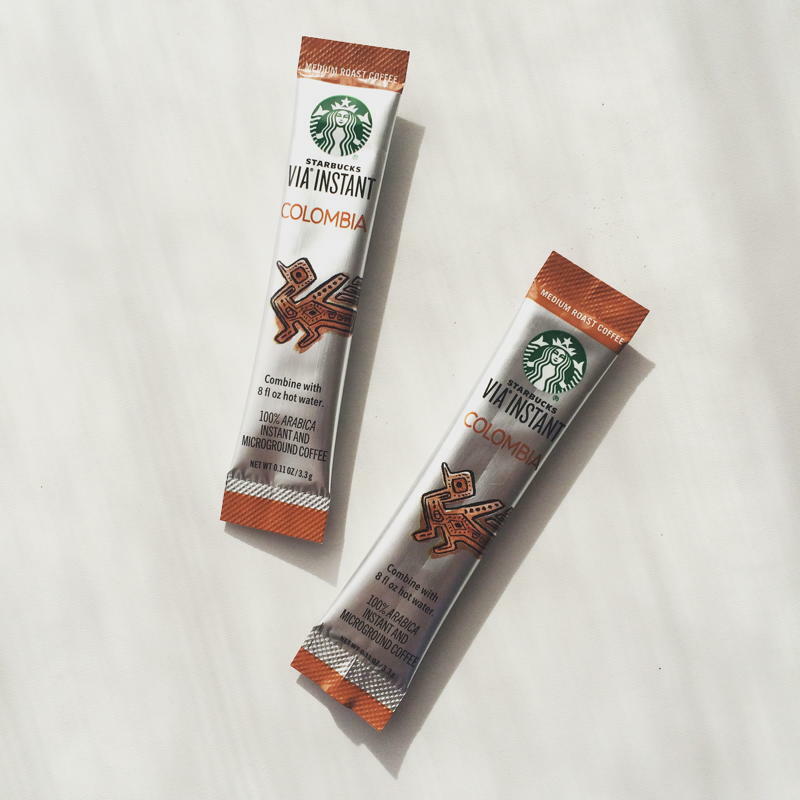 to keep things simple I used starbucks instant coffee via packets. I love these little guys for camping and have found that they are also really nice to have in the pantry for projects like this. and there’s there lovely bittersweet chocolate that’s about to get melted into popsicle nirvana. creamy chocolate coffee pops, lightly spiced with cinnamon and cayenne to wake up your palate! 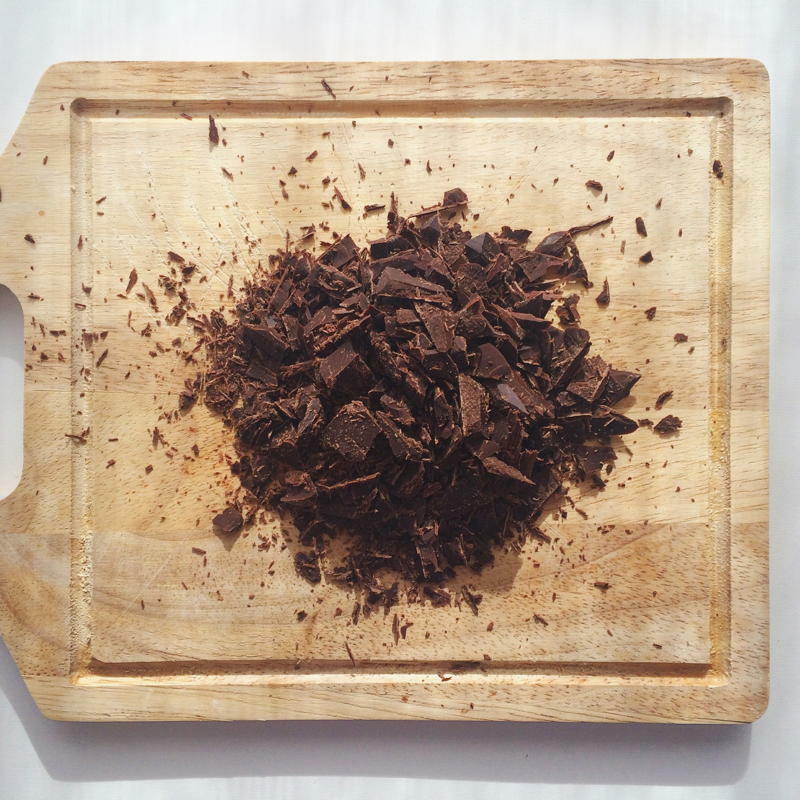 put chopped chocolate, contents of both starbucks instant coffee packs, sugar, cinnamon, cayenne pepper and a pinch of sea salt in to a heat proof bowl. pour 1 3/4 cups boiling water into the bowl and stir continuously until the chocolate is dissolved. let this mixture cool to room temperature. once the mixture has cooled add the whipping cream or your non dairy alternative and mix thoroughly. This entry was posted in sweets on July 16, 2015 by Nyssa Tanner. Alright, this is just what I think I needed to get my booty out of bed this morning! I’m making these on Sunday so I have an excuse to leap out of bed Monday morning and tackle the world with a big bear hug!!! Looooooooks so delish! !